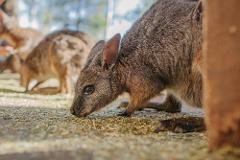 Welcome to the largest Aussie Animal experience in Australia! 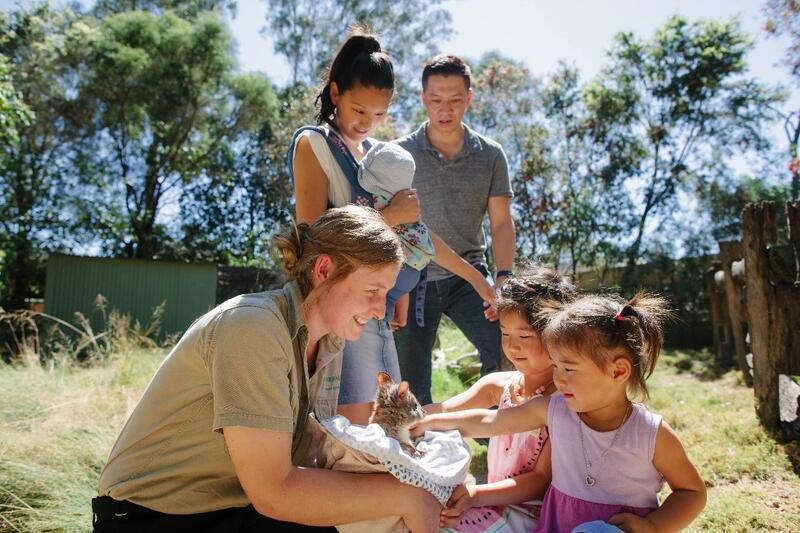 45 minutes from the heart of Sydney, you will find the world's largest collection of Australian native animals in an authentic bush environment. We're open 8:00 am to 5:00 pm, every day of the year (Excluding Christmas Day). 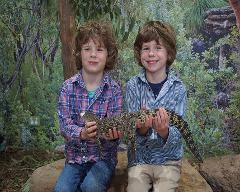 Each ticket has been issued by Featherdale Management Pty Ltd trading as Featherdale Wildlife Park ABN 92 163 915 008 ("Featherdale") subject to these Conditions and permits you to enter into Featherdale Wildlife Park ("the Park") on the date stamped on the cover during the Park opening hours. Featherdale makes no warranties in relation to the services to be provided. You enter the park at your own risk and acknowledge that whilst Featherdale will provide services with reasonable care and skill it expressly excludes, to the extent permitted by law, all warranties, representations and conditions relating to the services provided. Featherdale's liability under any statutory right or condition or warranty implied by the Trade Practices Act 1974 which cannot be excluded is limited at Featherdale's option to the resupply of the services or the payment of the cost of having the services supplied again. Subject to the above, Featherdale shall not be liable for any loss, damage or injury, including any consequential, indirect, special or economic loss to you or your property, or for your death, which is caused by any services not being rendered by Featherdale, its servants or agents with due care and skill or any facilities within the park not being fit for their purpose. Animals can be dangerous and can cause injury and your viewing of any animal is on the condition that you exercise care and common sense including, without limitation, not entering into any cage or enclosure or placing bodily parts into any cage or enclosure or into any animal or placing or throwing any object at any animal or into any cage or enclosure. Each ticket is non-transferable and non-refundable and may be cancelled by Featherdale personnel if you engage in unsafe or inappropriate conduct or otherwise breach these Conditions and will not be replaced if it is lost, destroyed or cancelled and remains the property of Featherdale at all times. No smoking is permitted inside the Park grounds. A smoking designated area is provided for guests in the car park near the Park exit. You agree to act at all times in a safe an appropriate manner whilst in the Park and to abide by all directions given by Featherdale personnel and to obey the instructions on any signs displayed within the Park.